First off, a huge congratulations! And secondly, I feel extremely honored that someone would ask me to share my thoughts on wedding attire. I’m happy to oblige, of course, if only to give my dear reader a little “food for thought.” Unfortunately, I have no photos of mature brides to share. I'm stuck showing young models wearing styles I believe would look smashing on a bride over 50. 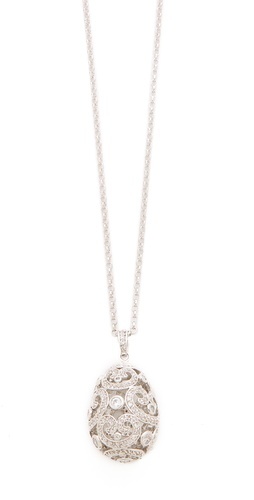 Elegant – Simple, classic shapes and lines that exude confidence. I also love feminine elements and rich fabrics. Flattering – With all eyes on you, it’s important to wear something that looks fabulous and makes you feel like a million bucks. Comfortable – It’s your wedding and you’re over 50, so…You don’t have to wear something strapless or with a mile-long train unless you want to. A word about wedding colors...While a bride under 50 may feel compelled to stick to traditional wedding white or cream, I don't believe the over 50 bride is bound by any such traditions – unless she wants to be. Like so many fashion decisions over 50, I think the mature bride has options, including the color of her outfit. Do you love and/or look smashing in a certain shade of green? Then, wear it. This is your day and you should wear what makes you feel and look beautiful. That said, while orange is a trendy color this spring, I was unable to find anything in dark orange that seems appropriate for a wedding in New York City. A wedding at the beach, perhaps, but not a sophisticated city wedding. I'm sure there are elegant dark orange garments out there; I just couldn't find them in time I had to search. However, the fact remains: If my Flattering50 reader wants to wear dark orange and it's a flattering color, I say: Do it, darling! For the mature bride who would rather save her pennies for the honeymoon or something else, it's possible to find really nice slacks at a moderate price as well. Personally, I would buy modest-priced slacks and spend big on what goes on top. After all, that's what people will notice when they are looking at the bride's happy face. 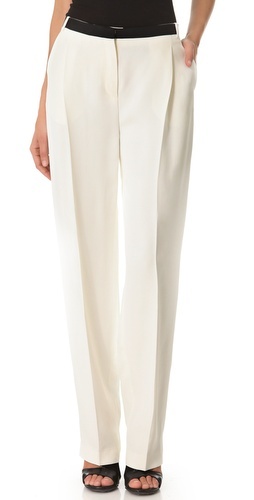 For example, here's a nice pair of Jones New York Flare Pant (was $99, now $39). Sizes are limited, but you'll find some wide leg slacks on the site as well. Click the photo to search. There's a benefit to wearing a bridal dress or gown: Once you buy the dress, your outfit is practically done. With slacks, you’re only halfway there. You’ll need to pick a top as well. Whether my Flattering50 reader is thinking of buying a masculine- (a la Marlene Dietrich) or feminine-styled top, I'd probably recommend avoiding any top that could double as office-wear. The best way to avoid that is to choose a top in a rich and/or textured fabric. Personally, I would look for a draped or cowl silk top. How far the draped neckline plunges will depend on the bride's personal taste (I’ve seen some draped blouses plunge right to the woman’s navel. Heavens!) Here’s a pretty Silk Cowl Neck Blouse (was $198, now $118.80) (without a plunging neckline) in pale green. An over 50 bride who’s got her heart set on slacks might be able to get away without a jacket if she finds the right top--for instance, a elegant tunic and/or lace top. The alternative would be to wear a jacket. Once again, I would steer clear of any corporate-looking jacket. In general, I’m not a big fan of man-tailored jackets on women over 50, unless it’s a tuxedo jacket. I love the simple, sophisticated lines of a tux jacket! 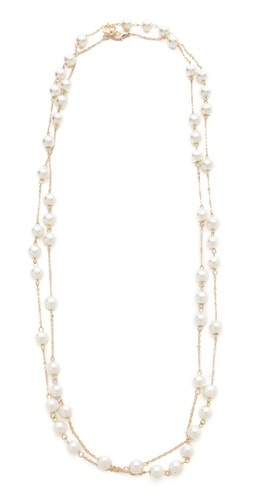 Add a silk camisole or shell, peeking out from the jacket, plus a favorite necklace—and wow! I also love all jackets with feminine detailing—a shawl or draped collar, a single button—and/or something in an unmanly color or texture. By the by, I wouldn’t feel required to wear a traditional suit with a matching jacket and slacks (or skirt). Today's fashion world embraces stylish mismatch—the pairing of different textures or material weights and I do, too. One trend is a texture jacket with a soft pair of slacks or a skirt. I'm also a huge fan of longer knee-length jackets, which tend to be very slimming. I think they look great over slim slacks. Here's a Three-Quarter Sleeve Duster Jacket ($489) paired with a dress. As you can see, this jacket is ultra-minimal, but there are lots of other styles online. 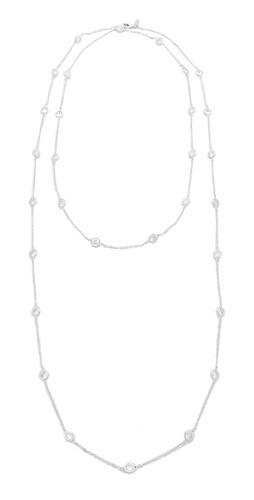 This post is getting much too long, so for my reader's query about accessorizing, I'm going to limit my sharing to necklaces and shoes. In truth, my feelings about accessories apply to all items--necklaces and shoes as well as earrings, bracelets, purses, etc. 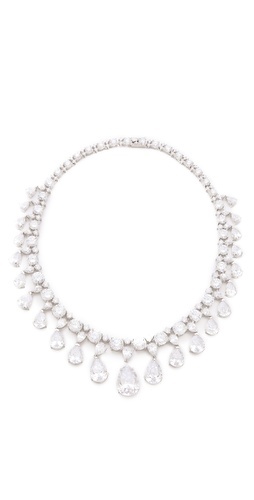 My feeling is this: If my outfit, wedding or otherwise, is simple, I like to dial it up with jewelry that makes a statement—perhaps, something glittery or chunky. 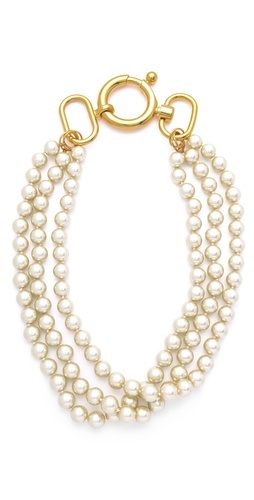 By contrast, when my outfit has a lot going on, say multiple colors or style elements, I like to wear simple jewelry. I don't want to be mistaken for a carnival act. 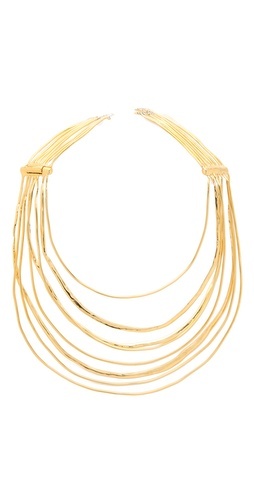 For an outfit with different textures and/or certain necklines, I probably would wear a simple necklace like this Alexis Bittar New Wave Lightning Collar ($345). I know a lot of brides like the wear the bling, right down to their toes. However, I'd probably go with something a little less bling-y, like these Anne Klein Rexana Dress Pump (Metallic, Size 8) (was $79, now $59). 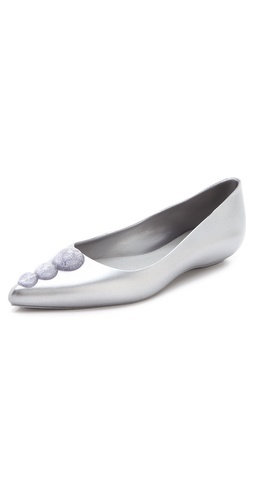 Melissa Melissa + Karl Lagerfeld Ballet Flats ($135). 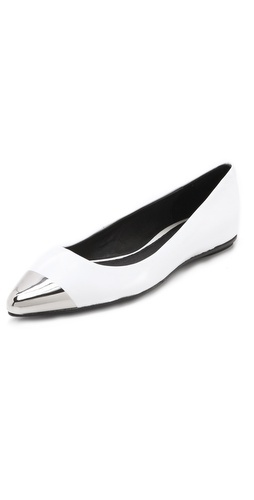 Messeca New York Jacqueline Metal Cap Toe Flats (was $195, now $136).